I have a very large collection of candles and I do buy candles on a regular basis. 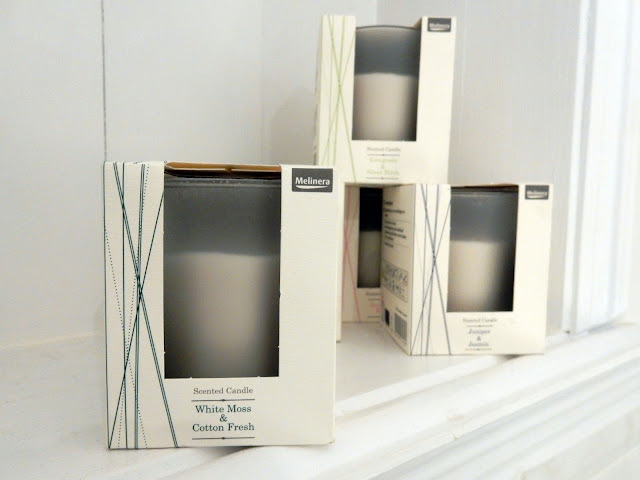 I have some high end candles from Jo Malone & The White Company but I also like to try and source affordable candles that burn well, and are good quality. My favourite place for higher end candles is The White Company due to their range of scents, price point and amazing quality candles that have a long burn time, which makes the price of £20+ much easier to justify. I buy most of my budget candles from Sainsbury's as they are the best quality affordable candles I've found, however this week I stumbled across some even cheaper candle bargains from.. [wait for it] Lidl! This collection of 5 Scented Candles from Lidl were an amazing £1.99 each and the scent selection is stunning. High end scents and smells that remind me of Jo Malone & The White Company scents but at a huge fraction of the price. If you're a candle addict like me I highly suggest to pick one of these (or all like I did!) up and give them a try! Or, as it's Mother's Day for us in the UK on Sunday this is a fabulous gift for your mother, mother-in-law or your inspiring grandparent; Nan, Grandma or Nana! What I love about these affordable candles from Lidl is that like Jo Malone, The White Company and Sainsburys candle collections they are clear coloured yet scented and with white, colourless glass, in this case frosted. I always prefer my candles to be colourless whatever their scent because it means they go with everything else in the room. There is nothing worse than finding the perfect candle for your home and it being bright pink or yellow and it standing out like a sore thumb in the room because it doesn't match or blend with anything - or maybe that's because I'm extra particular with my candle selection. All these flavours from Lidl - Blackberry & Violet, Juniper & Jasmine, Aromatic Rose, White Moss & Cotton Fresh and Evergreen & Silver Birch - are ideal whatever your preference and there is definitely something for everyone! They also aren't branded with Lidl's name, (not that I'm bothered!) so you can give them as a gift to whoever you like without worrying about what you've spent on them and feeling awkward. They're gorgeously packaged as well as easy to wrap. I think they're a gorgeous gift or treat for yourself! 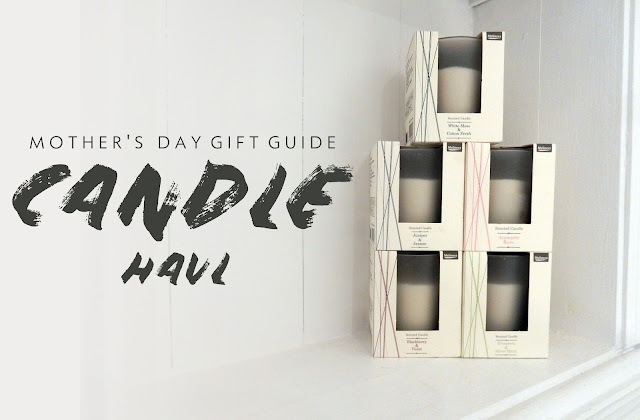 I'm so blown away with the quality of these candles, and hope it's given you a gift idea for your gorgeous Mum this Mother's Day.